The primary benefit of peel and reveal labels is the ability to include more information on a limited area. When space is limited and a larger amount of copy is needed, multi layered peel and reveal labels can be a great solution. As an example, an additional two layers can give you three more pages of printable space. More of our clients are taking advantage of peel and reveal labels to meet increasing demands for information on labels for cosmetics, food, medical and other types of products. 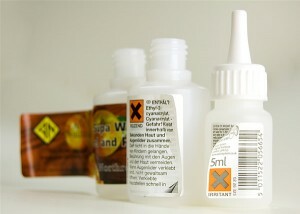 Peel and reveal labels can also provide a valuable tool for promotional messages on existing packaging. Multi layer peel and reveal labels can be used to include cross product promotions, discount vouchers, competition entries and many more areas for promotion. If you have an idea for what you want, but need advice on materials, size or any other aspect, please get in touch and our experienced team will be able to work with you on a peel and reveal printed label solution that matches your expectations and budget. Our state of the art, digital printing process allows us to supply peel and reveal printed labels in any quantity and in multi sort designs. We can even help with prototype labels and short runs prior to final design.